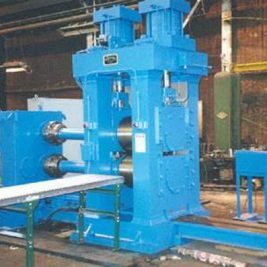 Our goal is to address the immediate needs of used coil processing machinery to end-users all over the world by helping them get into production as quickly as possible at a minimum investment. With over 60 years’ experience and real focus on customer satisfaction, you can rely on us to find the right product, new or used, on budget and on schedule. For more information view our products or contact us today! 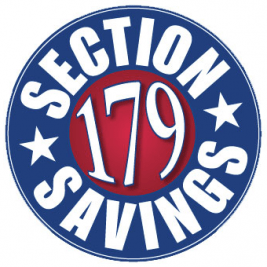 The Section 179 tax incentives have been extended permanently! Thickness: .080” to .500”, 1 day service available. 3.5” x 16” x 20” American 4-High w/Terminal Equipment. 72” x .187” x 60,000# w/Voss Corrective Leveler, Under Power. 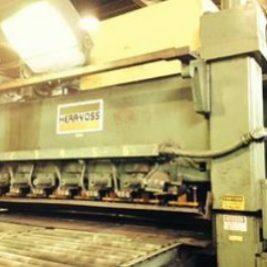 84″ x 14″ Arbor Cauffiel, Loop Type, Complete w/Tooling. 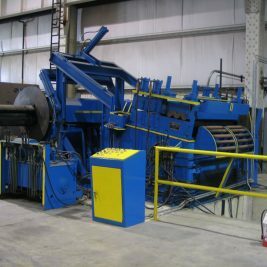 72″ x .250″ to .060″, 3.5″ Diameter x 60,000# Cauffiel Feed Line, Inverted Drive. 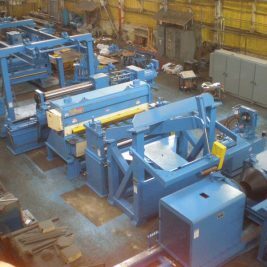 American Steel Products Company was established in 1953 to address the immediate needs of used coil processing machinery to end-users in over 20 countries by helping them get into production as quickly as possible at a minimum investment. 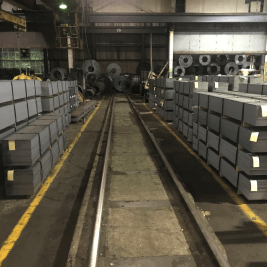 With extensive experience over the past 60 years, American Steel Products Company has grown to be a leader in Toledo, Ohio and around the globe . Specializing in both new and used equipment, ASP has the ability to get you up and running on time and within budget. Servicing a broad range of industries from steel mills to service centers to end users, finding the right relationships and producing the product on time and within scope is what keeps ASP a leader in large steel machinery.